I have been fortunate to have fished with some of best captains for trophy sized fish both inshore and offshore for many years. I have spent hundreds of days fishing the east coast and countless destinations in South America. When it comes to tying fishing knots I have learned a lot but I have also been humbled way too many times. Hopefully my painful lessons can help others be better fishermen! 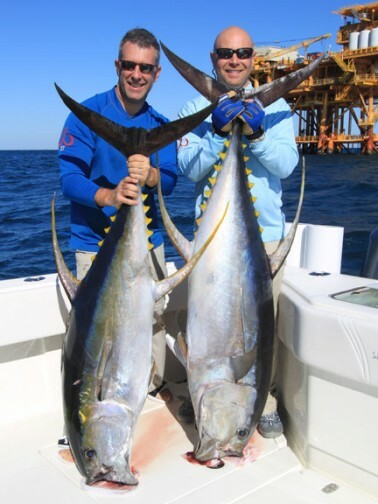 Two fishing buddies (Steve Palmo and Mitch Wergiles) and I were fishing with Capt Scott Sullivan (Mexican Gulf Fishing Charters) for big yellowfin tuna behind the shrimp boats in Louisiana. We had found the fish and had them all to ourselves (click here to see the whole story and watch an amazing underwater video). The only problem was that they were mixed in with sharks and other toothy fish that were forcing us to constantly re-tie. When Scott was moving the boat to get behind another shrimper, I took the time to tie new hooks onto several rods. I carefully tied the reverse-snell I have used successfully for years. A few minutes later Mitch hand-fed a 100lb+ yellowfin at the boat, hooked up, and then broke-off moments later. When we examined the leader, it was clear that my knot had failed. Without saying a word, Capt Scott cut off ALL the hooks I had snelled and re-tied them while I apologized. Lesson 1 – Just because you tied a certain knot in the past and had full confidence in it, there is a really good chance that a fellow angler who is more familiar with the line and hook you’re using that day can tie a better one. Pay attention! 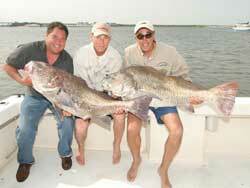 Capt Rich and I were filming a Black Drum show in Cape May, New Jersey with the crew from Stalker Charters. We had traveled a long way, the trip was already going poorly, and we desperately needed a couple of fish to make the show. We finally got into a bite and the connection between the 30lb fluorocarbon leader and the 50lb braid pulled on three straight fish. We ended up with nothing on that trip, but came back a few weeks later and shot an amazing show (click here to watch a highlight from that show). I had used that exact some knot to connect 80lb leader to 60lb braid weeks earlier and successfully landed several 250lb+ striped marlin on pitch baits in the Galapagos. However, the knots needed to be tied slightly differently for the smaller diameter braid. Lesson 2 – A fishing knot that performs perfectly for a specific line/leader may need to be tied differently when using a different line/leader. Even the same line strength produced by different manufacturers may perform differently. This is especially true for the Albright knot (a critical knot for connection leader and main line). 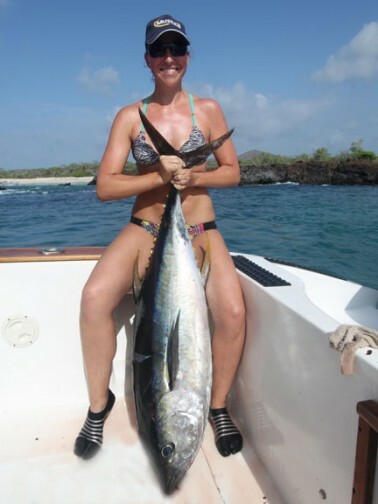 We were in the midst of an incredible yellowfin tuna bite on poppers fishing off a San Cristobal in the Galapagos Islands. I had just released a 50lb class fish after a brief fight with 80% drag pressure when I hooked a much larger fish (click here to see the action). Only a few moments into the fight the connection between the leader and the snap-swivel failed. The intense drag pressure during the prior fight had weakened the knot which eventually failed. It should have been inspected and re-tied. Lesson 3 – Check your connections AFTER you have landed a fish (especially a big fish). All connections will eventually fail and usually while fighting “the right” fish. Be prepared to re-tie even though the connection worked properly on the prior fish. I was fishing for trophy stripers with good friend and CNN host Chris Cuomo and trying to impress him with my skills as a charter captain. I located a huge body of fish, quickly put together some very simple live eel rigs (6ft 30lb leaders connected to 30lb braid with a small swivel), baited his rig and had him drop it back to the fish. His eel was picked up in a few moments, but the connection between the braid and the swivel failed immediately. The knot was poorly tied and the braid simply slipped. If I had tested the connection after I had tied it that never would have happened. Fortunately, there were plenty of big fish caught the day. Lesson 4 – Do the best you can to test all your connections. Be creative (tie to cleats, trees, etc., and apply slowly increasing pressure). You will be surprised how often a knot will fail during testing. I have learned more spending a few hours testing fishing knots at home that most other fishermen will ever know. 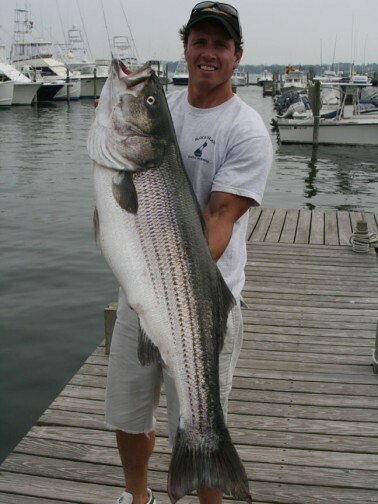 Really good anglers know how to find big fish, catch big fish, and tell others how to catch big fish. Great anglers know when to shut up and learn from others by listening to what they say and watching what they do.